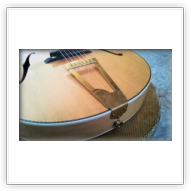 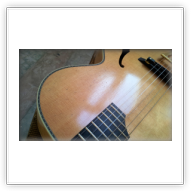 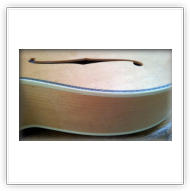 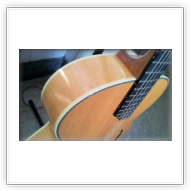 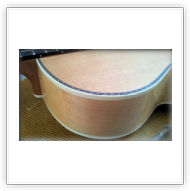 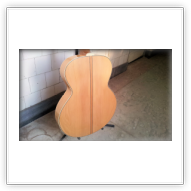 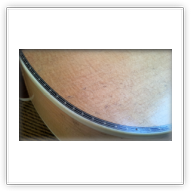 The Torres Dome # 37117is a non-cutaway Dome, Sitka spruce top and Spanish cypress back and sides. 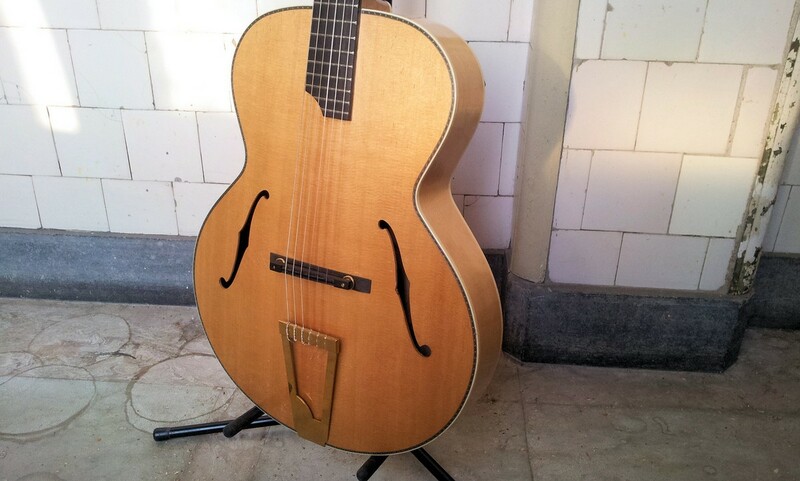 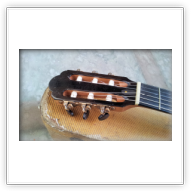 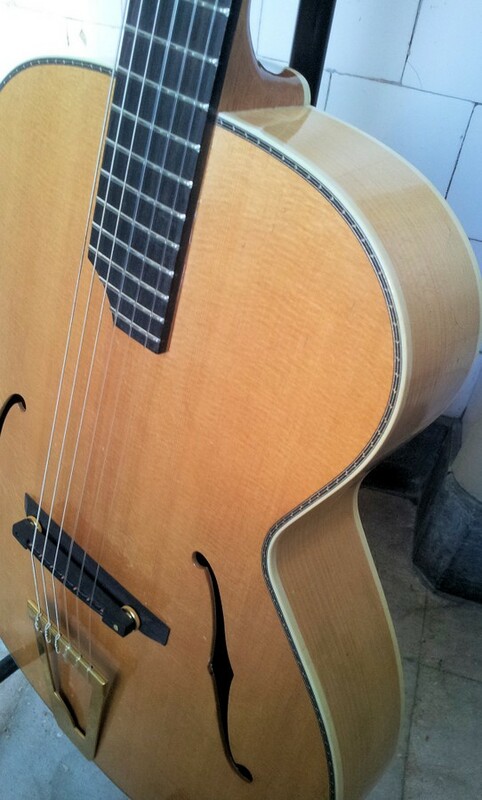 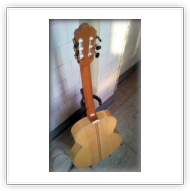 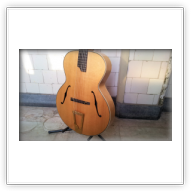 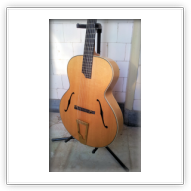 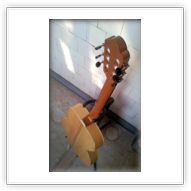 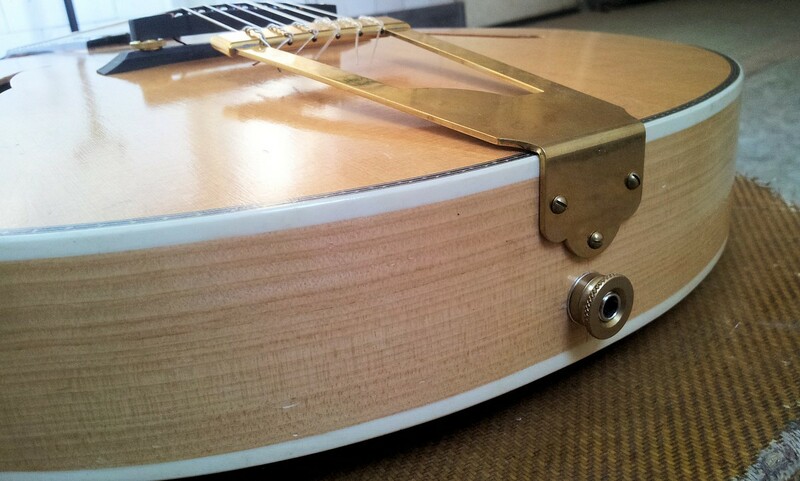 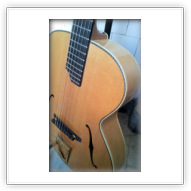 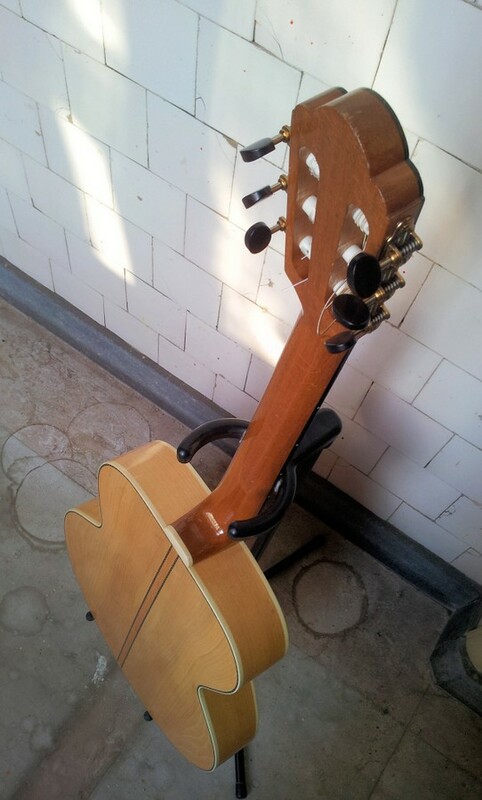 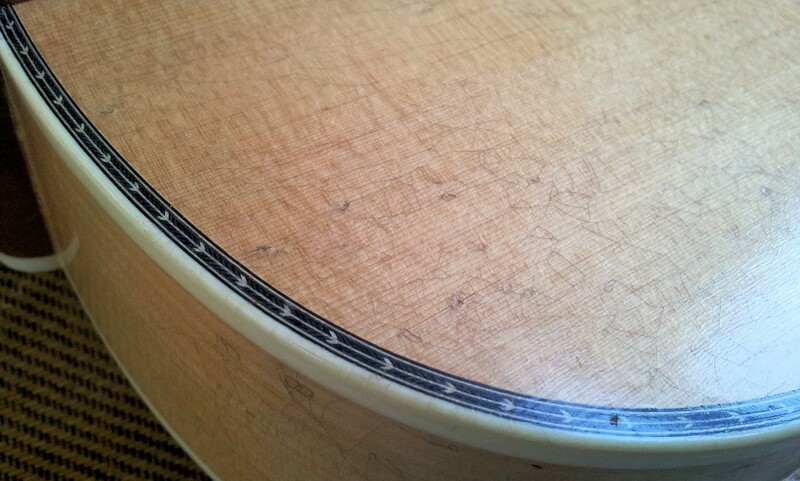 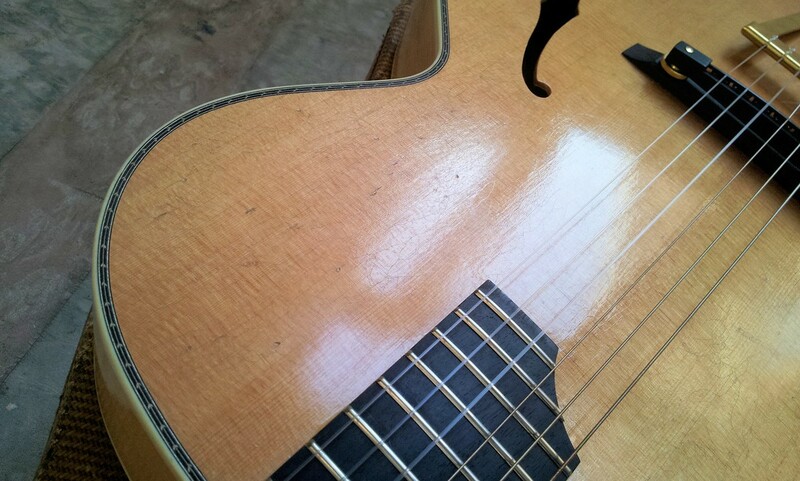 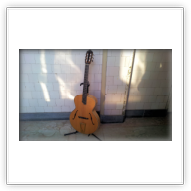 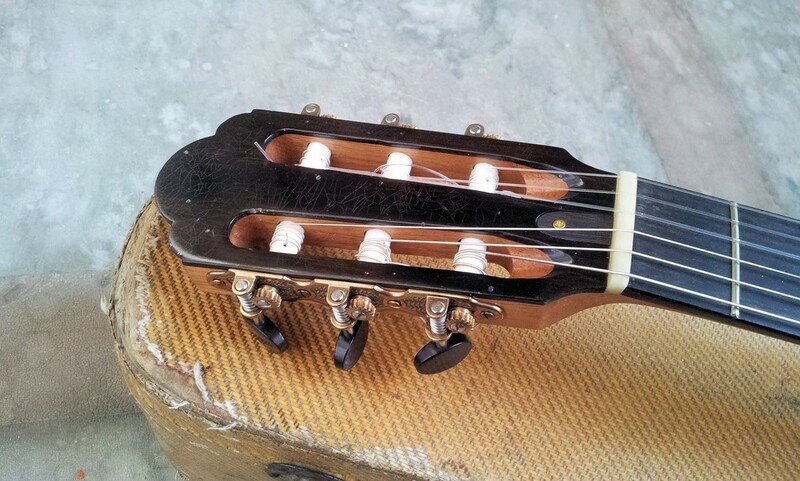 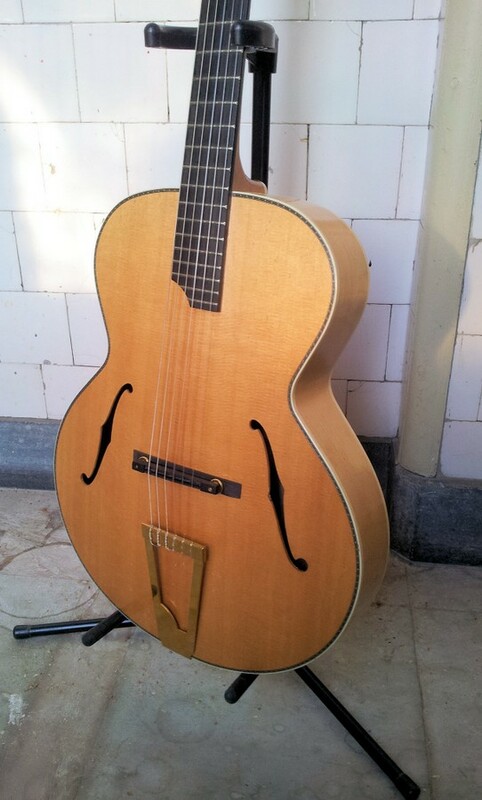 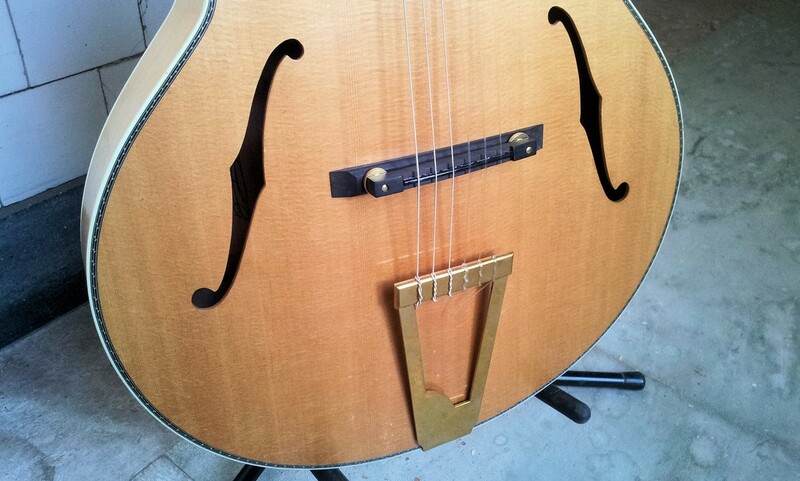 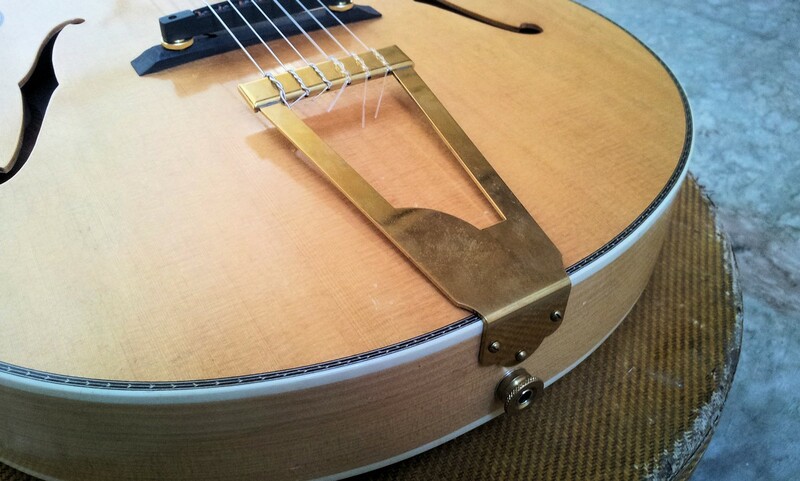 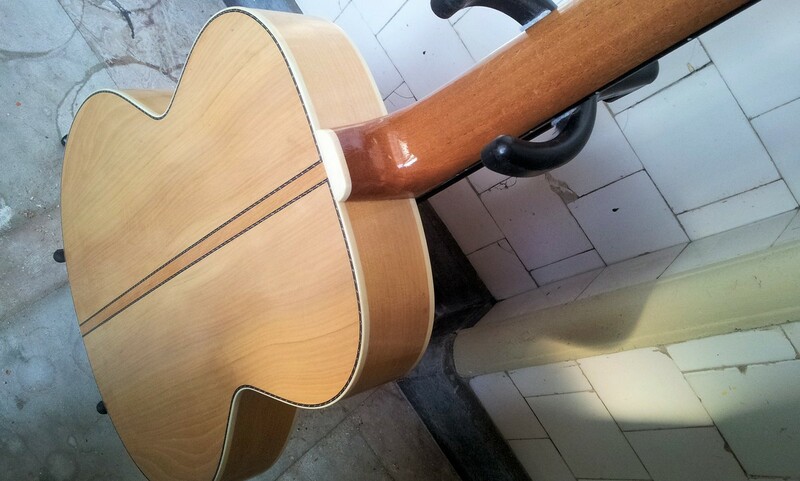 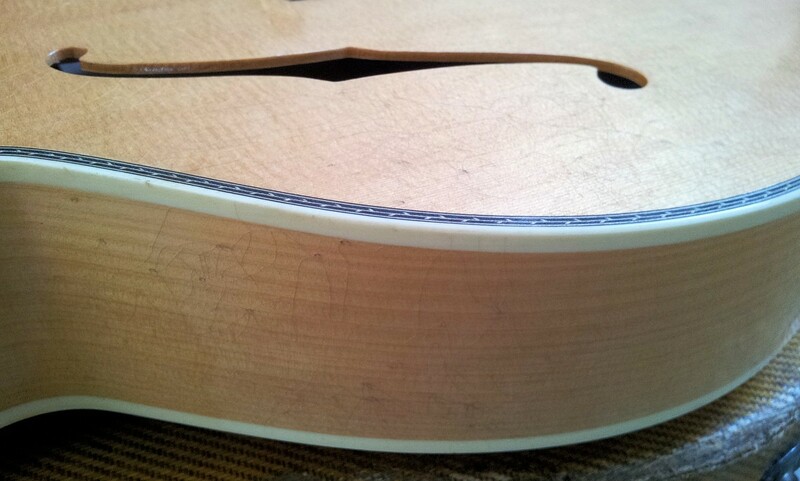 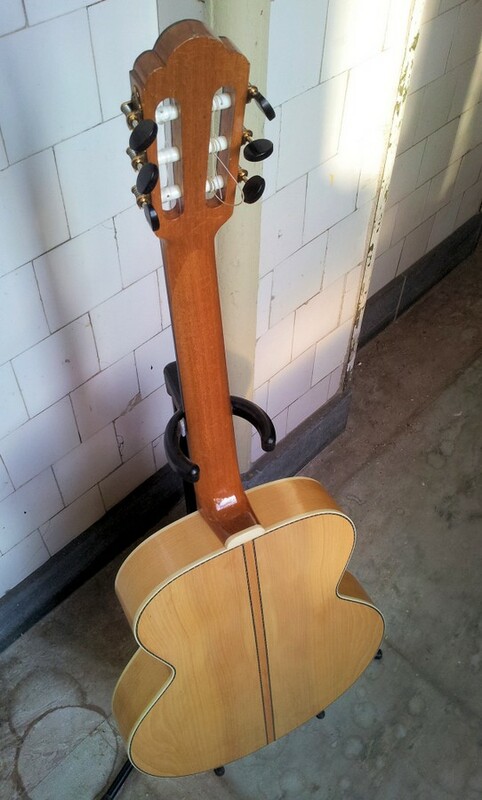 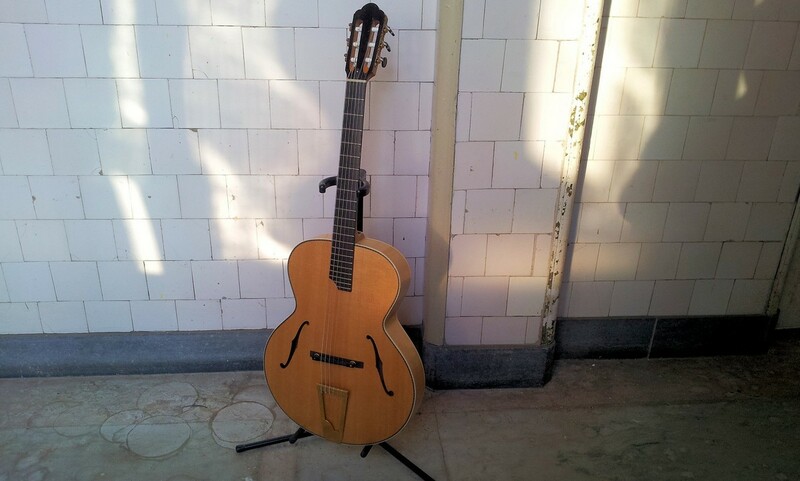 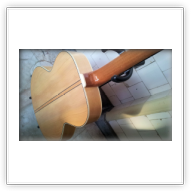 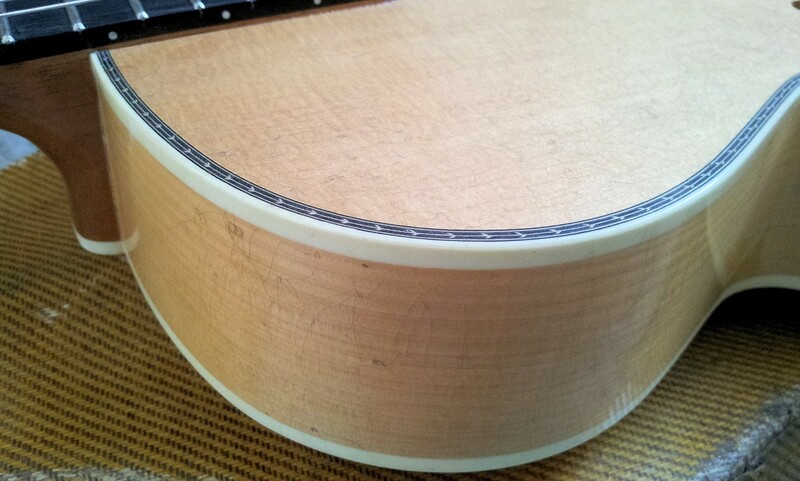 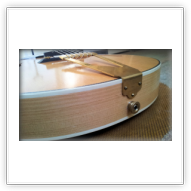 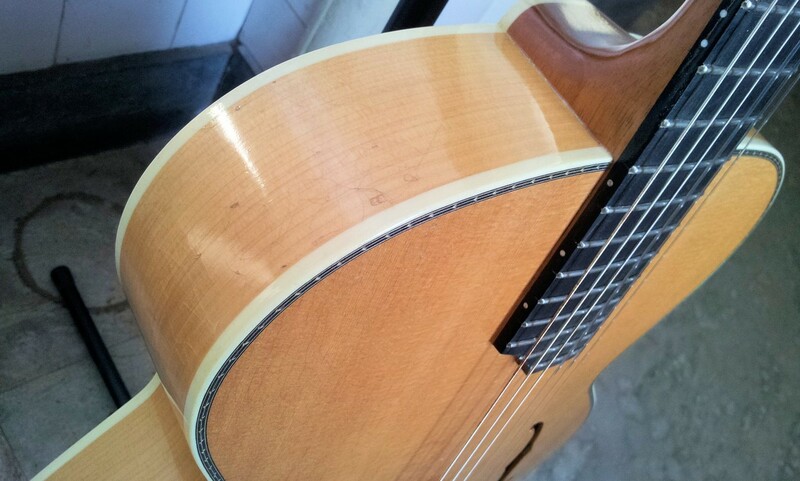 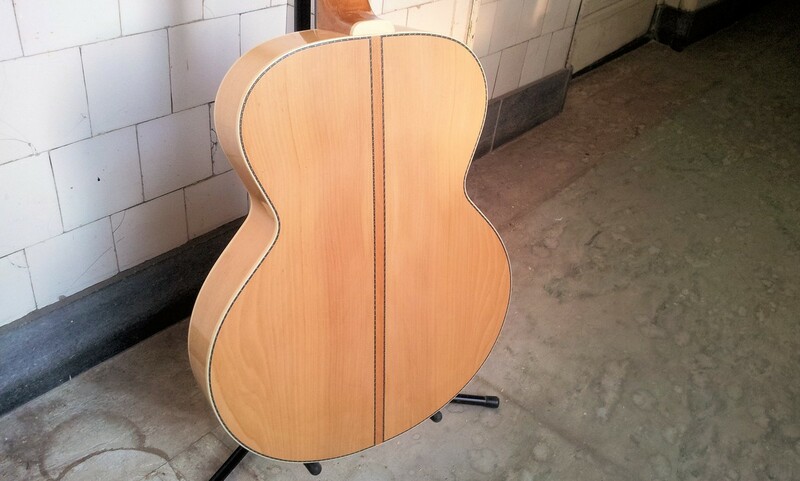 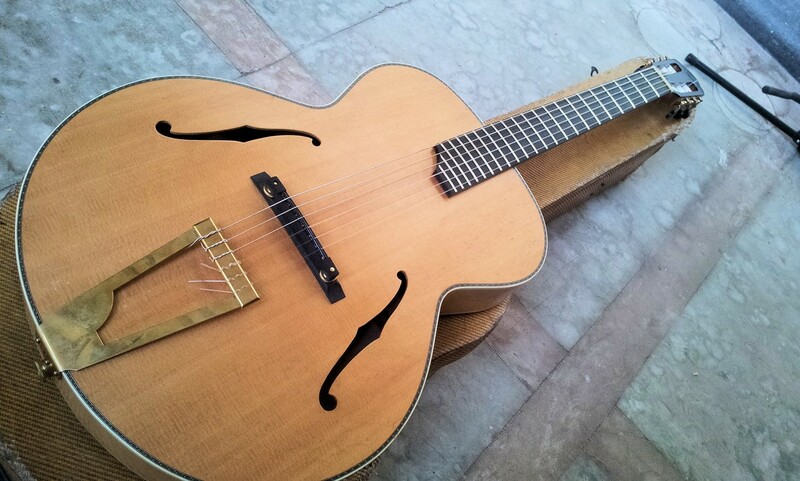 There is herringbone inlay on the top and the back of the guitar. 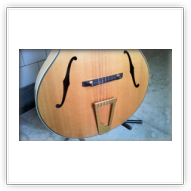 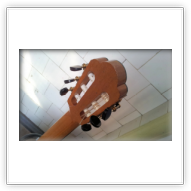 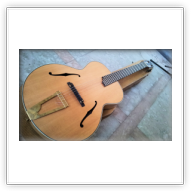 Pickup is a Barbera piezo, no pre-amp on the guitar; the Barbera can be plugged right into an amplifier or used with an external pre-amp. 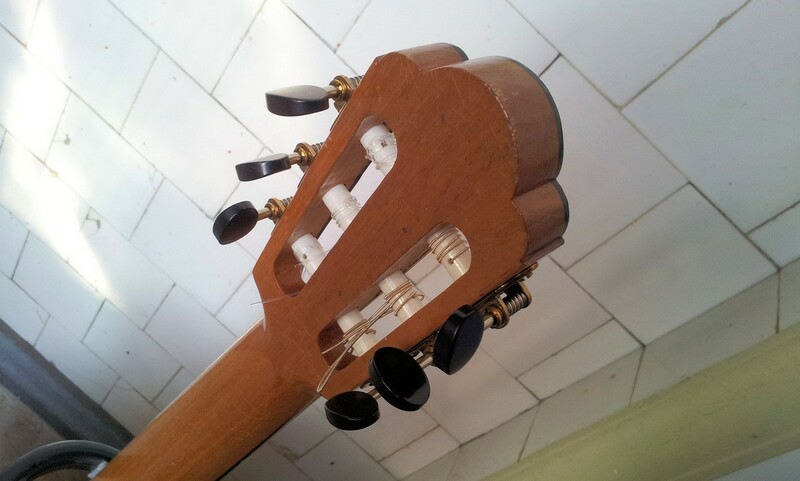 Waverly tuners with ebony buttons.